Well a lot of craziness going on in the sports world these days. Joe Torre coaching to save his job, after one of the best turn around in recent baseball history. Then you have Marion Jones coming clean...well at least coming honest. Trent Green is done as an NFL, or should be anyway. Locally, UK got Spurriered-for the 15th straight time. Jim Harbaugh won the only game he has coached for since taking the Stanford job. Today some of that craziness will fade out, at least for NBA fans. Today the preseason begins in earnest and I for one can't wait. I want to see how Miami can respond. I want to see how good Boston really is. I want to see if AK47 brings in his wife to get him more playing time. Can the Bobcats continue to improve each season. How long until Acie Law IV gets some serious burn and takes over as starting point guard of the Red, White, and Blue Atlanta Hawks. The Most important question of all...will Lukasz Obrzut make the Indiana Pacers! So I thought I'd pass a view pictures along from the Media days and practices. 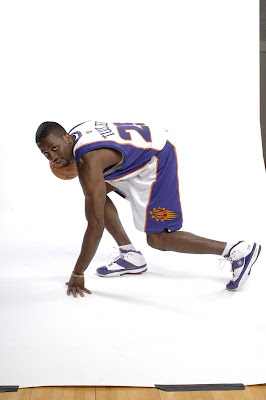 First up is Alando Tucker from the Suns. 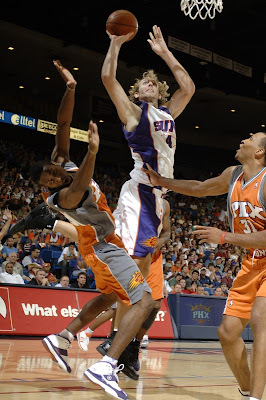 The guard from Wisconsin should fit in nicely with this up tempo Suns team. And I already love the White/Purple/Orange colorway of the 099's. Below he's taking a charge and posing for a media day shot. 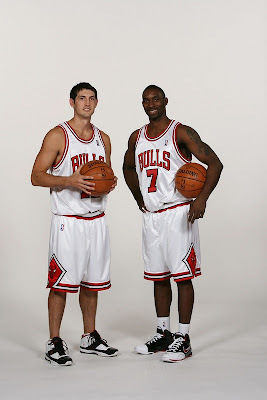 Here is a shot of Kirk Hinrich and Ben Gordon from the Bulls media day. This is a different colorway than from the ad's showing the black/white/red 099's that you can find at Dicks Sporting Goods. 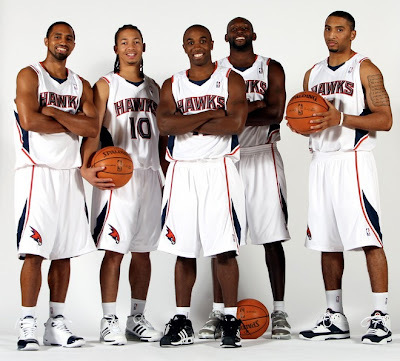 In this shot of the Hawks guards notice Acie Law IV on the end, he's the one not smiling because he'd rather be playing. 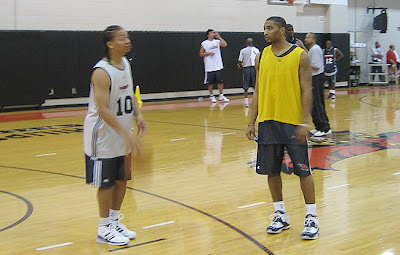 Below is a picture from Hawks practice, that picture I got from the Hawks website. Finally here is a shot from the Heat's scrimmage, Udonis is wearing a shoe that I haven't seen before so I hope to get some more information on that soon. 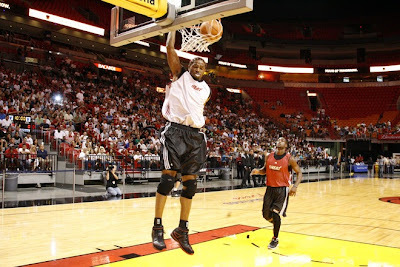 And you also see an action show of D-Wade in the Wade 3.0...which I actually like this colorway once I've seen being worn. This is a smaller picture, so for a more detailed shot click here. With Preseason starting tonight I hope to have some more pictures soon. Maybe even of some new Converse guys, I am trying to find out who they might be. Thanks for stopping by, come back often and tell your friends.